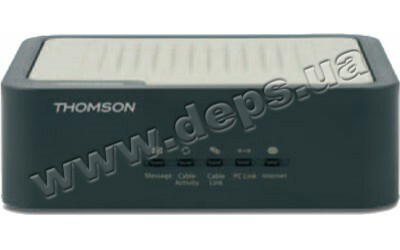 As all the models of cable modems Thomson, TCM420 has ports Ethernet and USB for quick installation and comfortable usage. For visualization of displaying modem state they use LED indicators, displaying process of registration, data exchange and connection state. 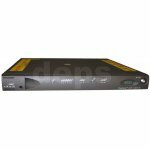 Availability of web-interface provides access to modem settings and internal logs. To provide connection safety as both for operators as and for end users in TCM420 equipment we realized some protection mechanisms. Built-in firewall minimizes influence of hazardous programs on network, as well as constantly examines content of packets. Built-in detection mechanism DoS recognizes great number of patterns of attacks, and at detection of potential threats records data of them into local log or transmits data to monitoring server. To restrict access to interface of control of wireless router is applied authorization of users by name and password. Data exchange safety at passage between cable modem and CMTS operator applied BPI+ encoding. 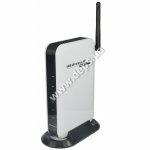 Wireless 2,4 GHz (802.11g) 4-х port router FoxGate WFR-301 allows to provide wireless access to dedicated line or wideband modem at rate up to 54 Mbit/s, arrange wireless network within building or office as well as extend existing wire network.